Friday has arrived and the weekend is in sight. Why go out and do things when you could stay in and computer until after midnight on Sunday? Below are some new parts that could help you computer harder and an incredible custom build for the recent Games Done Quick marathon. 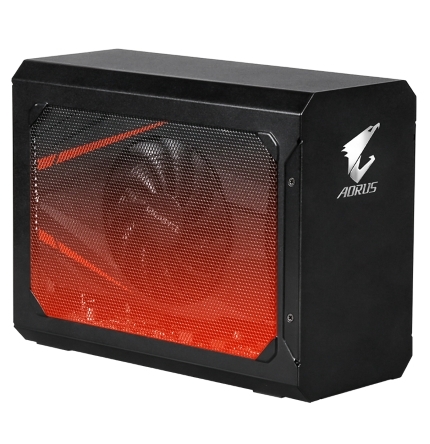 Releasing today is the new AORUS 1070 Game Box from Gigabyte. This device is a portable GPU that will turn any Thunderbolt 3-equipped laptop into a legitimate gaming powerhouse. It features an embedded NVIDIA GTX 1070 GPU and can give your laptop a quick charge or expand the number of available USB ports. More importantly, the thing is RGB as all hell. The included lights are software controllable using Gigabyte’s RGB Fusion app. More info can be found on the Gigabyte product page and Amazon. EVGA’s page has all the details.NVIDIA'’s top gaming GPU get the FTW3 treatment from the folks at EVGA. This is the 14th(?!) variant of this chip from EVGA. The GPU itself is chilled by a self-contained water cooler and the card has an additional fan to keep the memory and VRMs as cool as a cucumber. 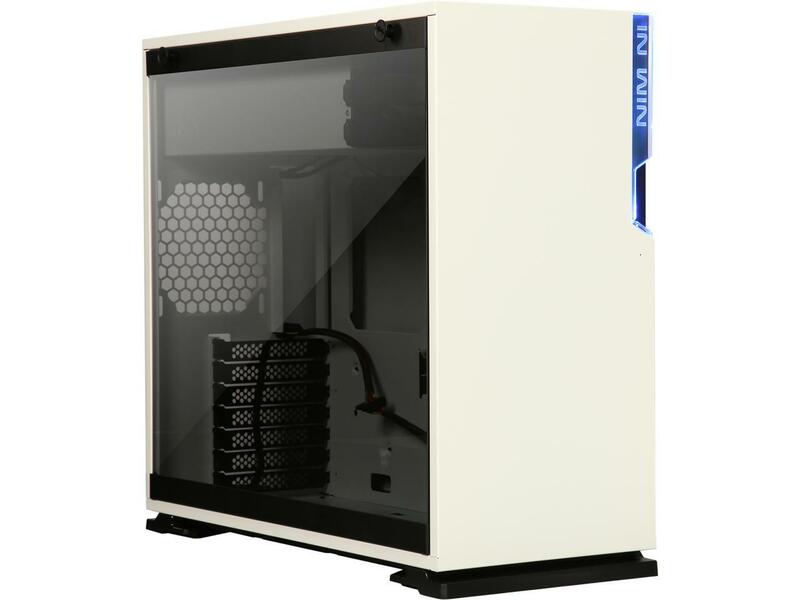 Sporting looks similar to its more expensive cousin, the 303, the In Win 101 case releases this week. It is available in black and white with an In Win logo illuminated on the front panel.. The internal design hides the power supply and drives behind the motherboard tray and the huge tempered glass window shows off all your dope gear. It can support a radiator up to 360mm and full-sized graphics cards. The In Win 101 is on sale at Amazon now. Would you have any use for the Thunderbolt GPU? Is the In Win 101 too slick? Have you recently completed a build and want to show it off for internet street cred? Hit us up in the comments! Damn that AORUS is dope looking. I wonder if you can program the RGBs to flash like a slot machine when you're using it to mine crypto currency. I wonder if anyone is going to sell just the enclosure? It would be kinda cool to be able to rip my 1070 out of my desktop machine for trips and stuff and use it with my MBP that way. I would just like to say that FoxNews officially supports Chris Jarrard articles. Finger licking great ... wearing that outfit. Y'all caught them Duke boys yet? I don't know for sure, but it is possible that the parts used for the build were provided by the vendors. Just because you have a 1080 Ti doesn't mean that $300 GPUs are now dogshit. Get out of your bubble. Seems like the artist had to work with the tools he had. 1070 should play every game shown on this GDQ just fine though. What about the Ti? Supercharged? I love the idea of a Thunderbolt 3 graphics dock. In theory you could get a slim portable everyday laptop like an XPS 13 and then also have it be a monster gaming machine when docked. Problem is TB3 implementations from OEMs like HP and Dell are different, or lack the drivers to make this possible. Given maturity and the chance to make TB3 a must-have standard on all notebooks and these docks could demolish the gaming notebook sector. Nice! The frontpage continues getting better and better.